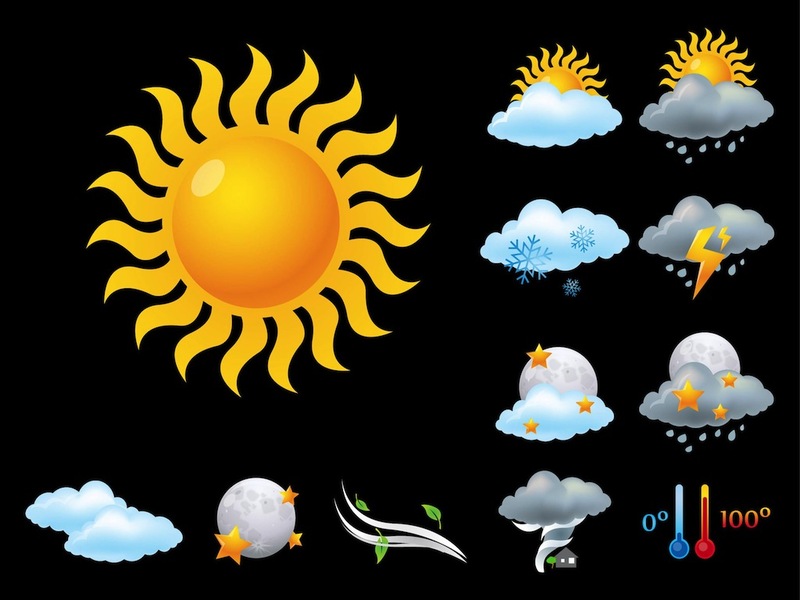 Vector image collection with icons for different types of weather and times of the day. Shiny detailed illustrations representing sunny, cloudy and windy weather, different temperatures and meteorological phenomena. Free vector graphics for all climate, weather forecasts and nature designs. Tags: Climate, Clouds, Icons, Nature, Rain, Snow, Storm, Sun.